The Sarri-out brigade have resurfaced after today’s loss to Liverpool at Anfield. This was inevitably going to happen. Maurizio Sarri has been up against it at times this season. We wondered if he’d even make it to this fixture, but a bounce in form has saved his bacon. Chelsea headed into today on the back of four consecutive wins. The standard of opposition wasn’t the strongest, but you can only beat what’s in front of you. The fans disgruntlement is always going to dull if the team’s winning, no matter what their opinion is of the man in charge. However, one defeat can bring them all out of the woodwork. The questions regarding Sarri’s competency have reemerged, on Twitter at least. Here’s how some of the fanbase have changed their tune on our manager (again), some of which will not make for fond reading for Maurizio. Is the criticism unjust, or did he get it wrong today? traditional 45th to 60th minute collapse under Sarri this season. thought we'd grown out of it, apparently not. Sarri's half time team talk must be something to truly behold. 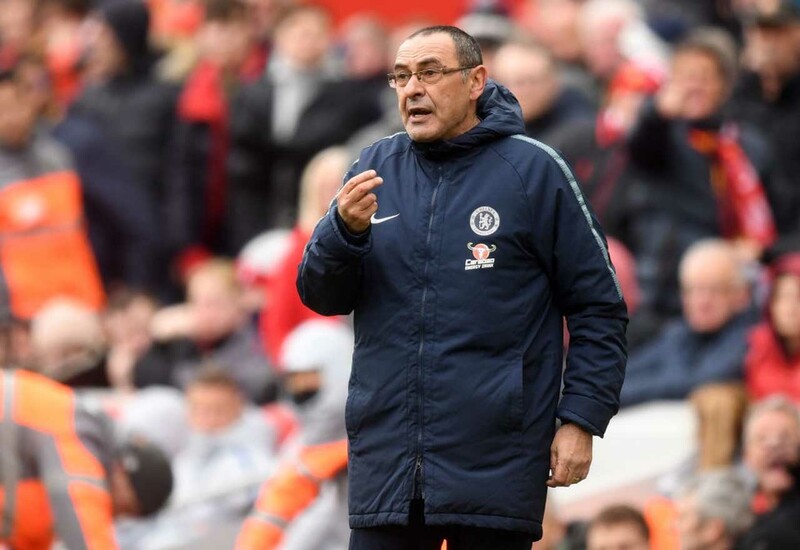 Higuain,Jorginho and sarri need to leave Chelsea…. Sarri really experimented with our line up against a very important and crucial game against Liverpool.